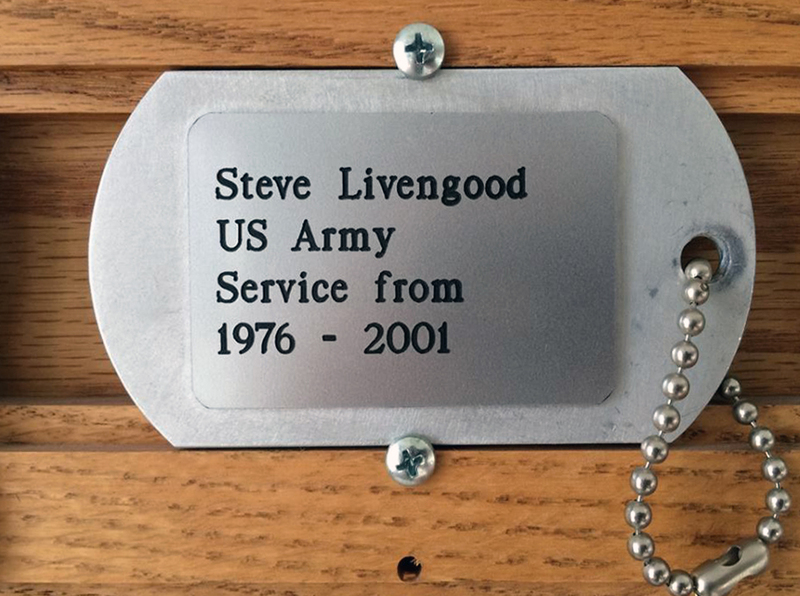 Residing in the reception area of the American Legion Memorial Building are the Dog Tag Memorials. 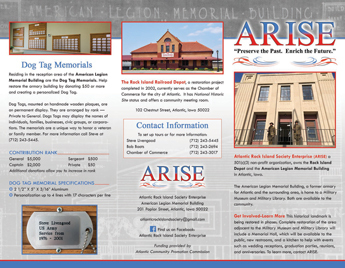 Help restore the armory building by donating $50 or more and creating a personalized Dog Tag. 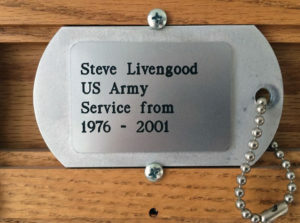 Dog Tags, mounted on wooden plaques, are on permanent display. They are arranged by rank — Private to General. Dogs Tags may display the names of individuals, families, businesses, civic groups, or corporations. The memorials are a unique way to honor a veteran or family member. For more information call Steve at (712) 243-5445.